Halloween is a holiday filled with mystery little kids. How are they not to love an entire day dedicated to dressing up and collecting all sorts of candy and treats just because they look cute in their costumes. 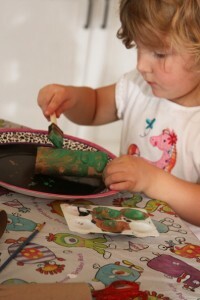 My kids love Halloween, and they love any project that is Halloween inspired. This project uses toilet paper rolls and allows the kids to transform them into adorable Frankenstein Halloween decorations. Let them create the Halloween decor in your home! 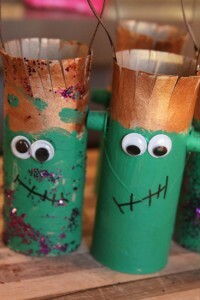 I found this fabulous Halloween Frankenstein craft idea via No Time For Flash Cards a blog all about learning and play for babies, toddlers and kids. Once again it inspired a fun and free kid’s craft to get my kids excited for Halloween. I love that Holidays like Halloween give us the opportunity to craft things that the kids can proudly display and help to decorate for the season with their masterpieces! This was a perfect rainy day project and I was so happy to have my kindergartener home from school to do it with us because of teachers conferences. Strangely my day seems much more complete and “right” when he is home with me, but I suppose any stay at home mom feels that way when her little birdies are in the nest with her. 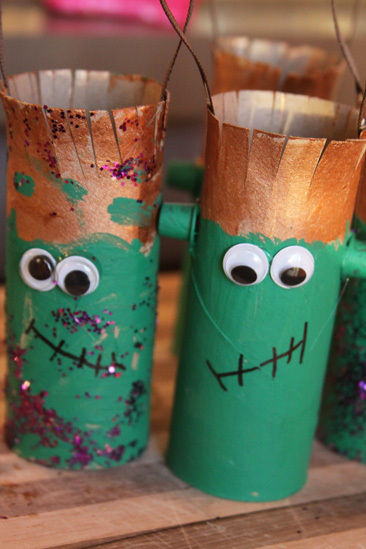 Anyway – this is a great project to do in anticipation of Halloween and I LOVE that it uses toilet paper rolls. One of those things that you would toss in the garbage without hesitation. 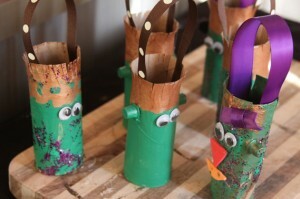 I must admit, I have a whole bag of toilet paper rolls stashed away because their are so many great projects that involve them for the kiddos. 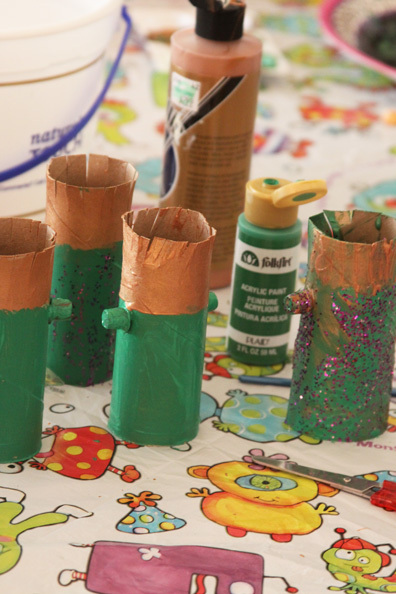 last fall we made binoculars from them, and they are always great for necklaces or just about anything you can dream up. 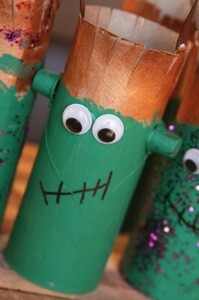 My kids got pretty creative with their little Frankenstein friends and even added foam stickers to the faces. These will stand nicely on their own, but we decided that they would look perfect hung on our Halloween tree with their egg carton bats. The were the perfect addition to the tree and I love that are house is now all decorated for Halloween using the kid’s crafty projects.